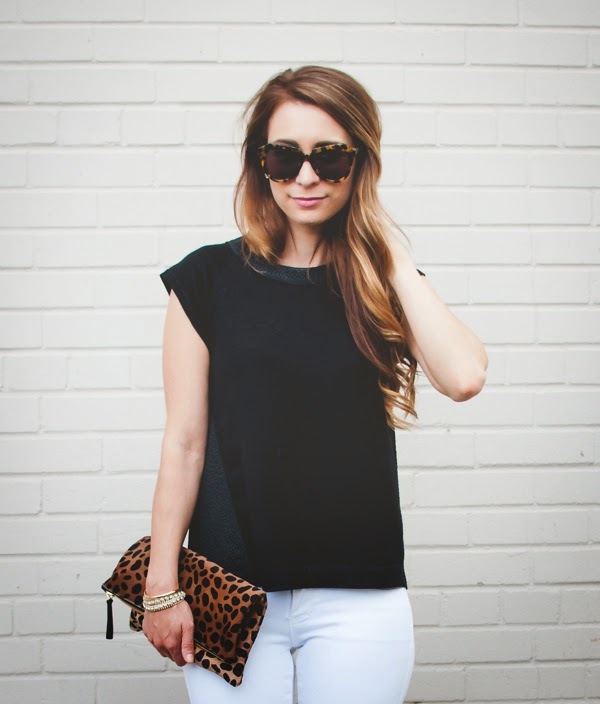 OOTD - Black, White and Leopard Dressed Up Neutrals | La Petite Noob | A Toronto-Based Fashion and Lifestyle Blog. Be still my heart! I'll be honest, I was having a rough day - I felt like nothing was in my favour. As I was grouchily passing through The Hudson's Bay departments store on my way home, I was hit with a frenzy of frantic women - it was flash sale on all shoes! 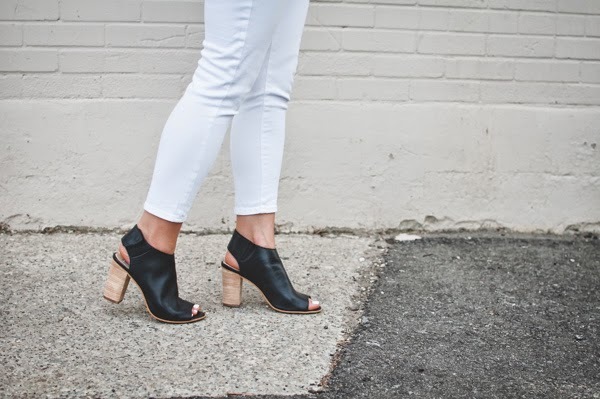 I threw myself into the madness, determined to find a great summer boot. After elbowing my way from one end of the shoe department to another, I found them - my summer bootie! Faster than you can say "retail therapy", the boots where purchased, packed up and in my hot little hands as I skipped and whistled the rest of the way home. The power of shoes, it's a marvellous thing! 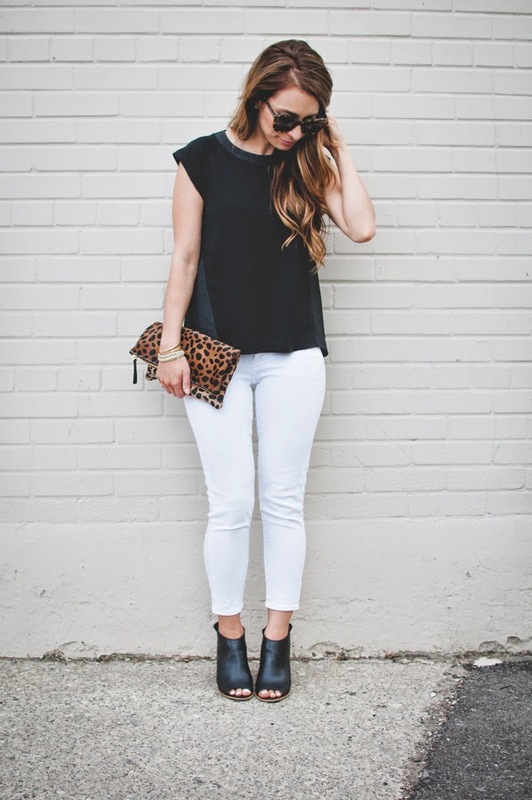 What do you think of a neutral outfit - within your comfort level or too ordinary to stand out? Let me know! I love this all neutral outfit, as much as I love colours sometimes I crave simplicity like this as well. you look so chic and my gosh those shoes are gorgeous!! Thank you Naghmeh! I love these shoes too - and they're so comfortable! It always amazes me how much a new pair of shoes can brighten my day. You should check out hr2 in Vaughan Mills. They always have the BEST deals on shoes. Great tip, although admittedly I purposefully try to stay away from Vaughan Mills - every time I leave the mall, my credit card is in flames! I might have to make the exception for hr2! 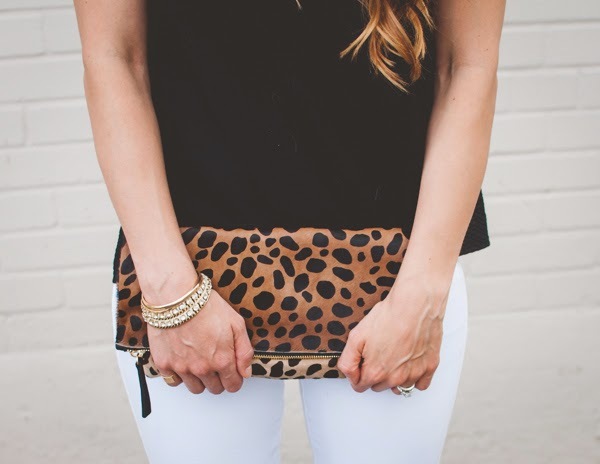 I love how the clutch and the sunnies tie together. Cute details!! Thanks Ana, I'm glad you like it! Im so happy I stumbled across your blog! I'm obsessed with your style and can't wait to see more. Thanks Ellen, I'm happy that you found it too! I love your hairstyle and colour! Did you curl it? We should follow each other on Bloglovin! It's so cool to find a fellow canadian blogger! Thank you Grace! I typically curl my hair with a straightener because it's the only way that the curl will hold. Yes, love meeting fellow Canadian bloggers, it's so fun! What part of Canada are you from? 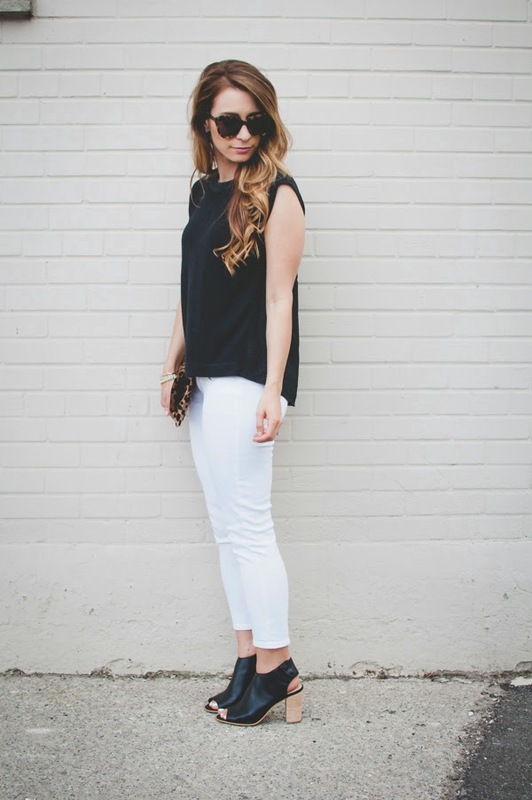 I just discovered your blog via Lauren Conrad's Chic of the Week and I absolutely love it! I love the aesthetics of it overall, as well as your consistent style. I'm pretty new at blogging and just figuring myself (and my style) out, so consistency is something I'm definitely striving to achieve. Anyway, I'm your new Bloglovin' follower. Hi Ada, thanks for the comment! I feel you for the style consistency - I struggle with finding and defining a consistent personal style, without wearing the exact same thing over and over again!